These fibers are full of flash with great color blends. They are soft and supple with great movement in the water. 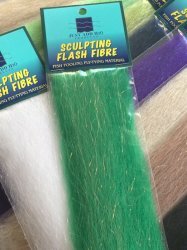 Perfect for sculpted heads on streamers. This is what I use to make the Mo' Stank Minnow.